Two male suspects broke into a store in Seabrook, New Hampshire, and stole more than $10,000 worth of fireworks. Police are investigating a burglary in which they say more than $10,000 worth of fireworks were stolen from a New Hampshire store. Officers responded around 7:45 a.m. Sunday morning to Rudy Fireworks in Seabrook after the burglary was reported. 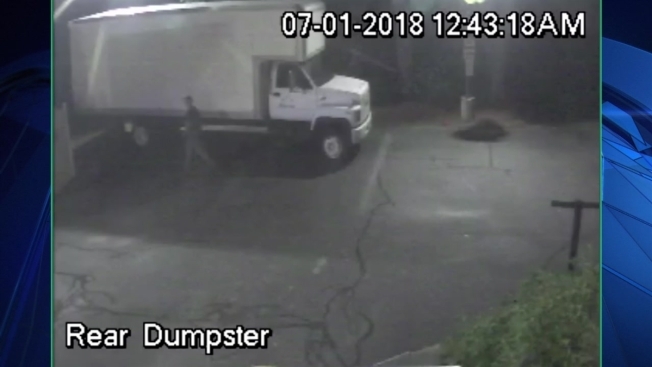 Surveillance footage shows a white box truck pulling in. Two men can be seen getting out of the truck. Police say they broke in around 12:45 a.m. through the wall in the back of the store. Anyone with information is asked to call 603-474-5200.